With BIM becoming more prominent in the AEC industry, a lot more companies are using Revit, which means that progressively all their models will soon be in a 3D Revit format. 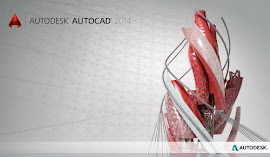 Autodesk provide a free viewer, which comes with some of the suites, and is for viewing, interrogating & marking up the 3D model. But not everyone has this viewer, and it can be a hindrance for some people to go and download it. In comes Revit export to html page. This feature allows everyone, to some degree, visually inspect the model/views at any stage in the project. Essentially, you can export specific views, sheets and Legends to a website with its own specific URL, which you can then give to the clients/stakeholders or anyone who needs to view the model and all the need to do is put in the URL and it takes them to the webpage with all the selected views on it. Free, easy and very useful. To do this, once you have your model at the level you want, save it as you normally would first, just to be safe. In the "Export Range" section, tick "Selected Views/sheets" and click "Select"
Specify any other settings ie. image size, format etc. You will now have a website link and HTLM file in the location you specified which you can click on and open up a website containing your specified project views. To share this out with people not in office, you will need to host the HTML file to a hosting website or public server and then share out the link for it.